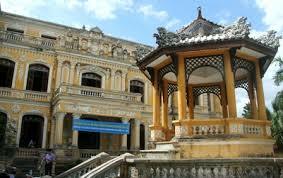 Besides, you can go around Dai Noi area and Hue citadel by Cycle rickshaw. 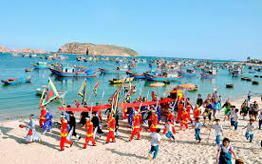 If tourists have no opportunities to Lang Co beach which is far about 70 kilometers from Hue, they can go to Thuan An beach that is far about 12 kilometers from Hue. 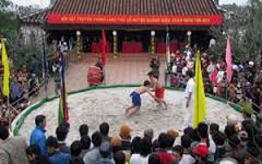 From center of city, tourists can hire motorcycle or bus, and then walk about 10 minutes to the beach. 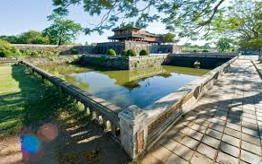 On the road from Thuan An beach to the city, you can enjoy specialty of Hue. 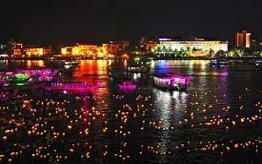 At night, tourists can buy tickets to listen to Hue music and drop “den Hoa Dang” on Huong River. 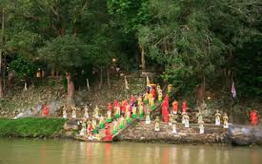 In areas near the Hue citadel, there has many famous “ao dai” stores; tourists can come here to buy them. 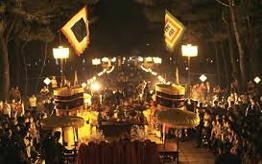 In addition, Hue have many kinds of “che”, tourists come here cannot help enjoying “che” and buying for friends or relatives. 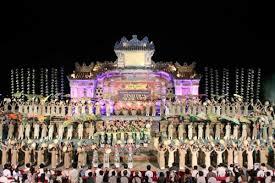 In Hue city, the fashion shop, souvenir shop, gallery, art studio… situated in a number of major streets such as: Tran Hung Dao, Hung Vuong, Phan Dang Luu, Le Loi, Mai Thuc Loan… Dong Ba market is an address that you cannot help coming if you want to buy some gifts for friends.